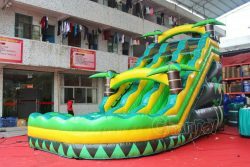 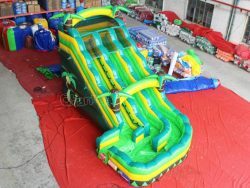 Our dual lane tropical water slide will surely give kids a feeling that they are on vacation at beach. 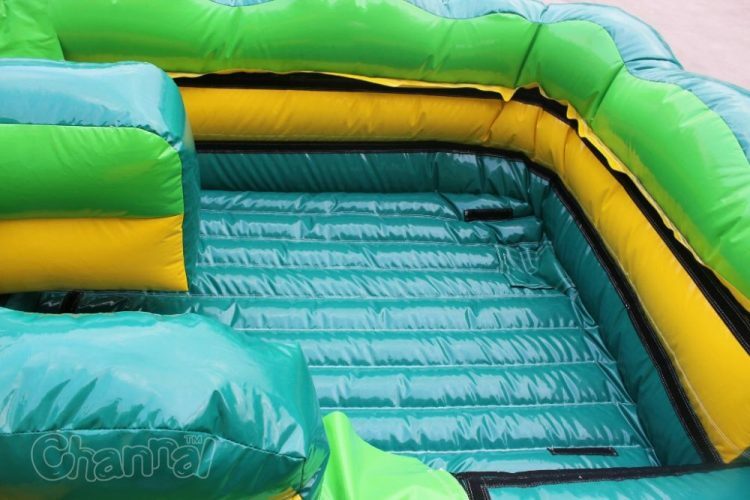 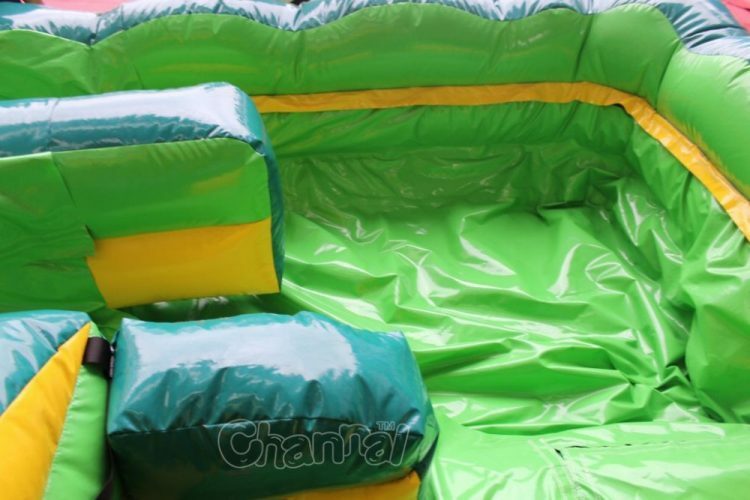 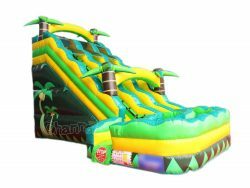 The best feature of this inflatable water slide is it has two slide lanes, which all have a small curve at the bottom and all end in the same water splash pool. 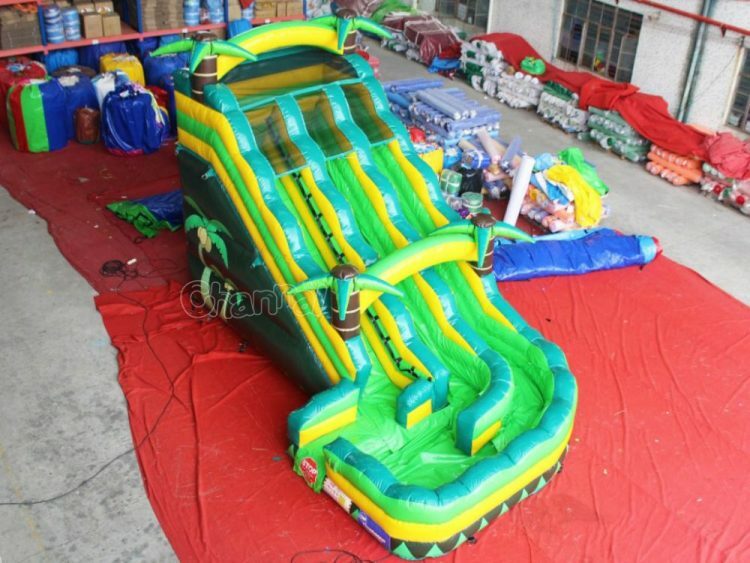 I guess you also wanna check out our another double lane water slide and 18 ft tropical inflatable water slide.